A classic silver bracelet with a contemporary twist. 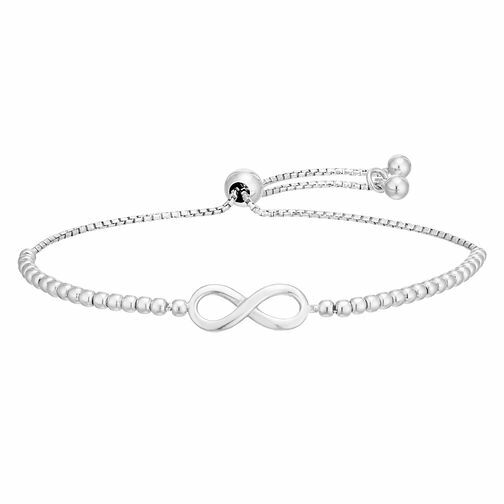 A silver chain adorned with silver balls holds a minimalistic infinity symbol charm, a simple yet stylish touch. This bracelet features an adjustable setting to bear the perfect fit.